With 20 plus years of DJing and/or producing nearly every kind of event, (clubs, corporate, festivals, cruises, weddings, birthdays, anniversaries, house parties) I not only have the experience to seamlessly blend numerous music genres (R&B, Hip Hop, Soul, Reggae, Reggaeton, Latin, Funk/Old School, 80s, 90s, Y2K Throwbacks, EDM, Top 40 and as well as 50s, 60, 70s classics) but I’m also fully committed to delivering exceptional quality and attention to detail for every client I work with. I use only high-end reliable audio and dance lighting gear, set up a minimum of 2-3 hours before the event and work with you every step of the way in your event planning process. This includes a pre-event site visit at no extra charge. YOUR DANCE PARTY EVENT SHOULD SOUND PERFECT! I fully believe in always doing and being the best at what I do. Professional DJing is much more than just playing music. Reading the crowd for appropriate music selections, setting up all gear safely, bringing a back up system, anticipating client’s needs, staying calm and rolling with unexpected program changes, and most importantly, playing fantastic music for people to dance and enjoy are all things you should expect from your DJ. Each event is unique and therefore pricing is dependent on the needs of each individual client. I offer competitive pricing for high quality professional DJ services. If you care about your event it is highly recommended that you shop wisely for a DJ that not only can play hits but also has great organizational skills, excellent customer service, professional equipment and experienced foresight to prepare for all worst case scenarios or situations. I would love to be the DJ for your future event and suggest you look at the basic pricing structure and then contact me for a specific quote for you. Note that the information I’m posting here is a very general snapshot and that I have access to much more equipment and services if desired. I can be reached via email here or telephone at 415-261-0426. I prefer phone calls as they are faster but email is fine also. Thanks! 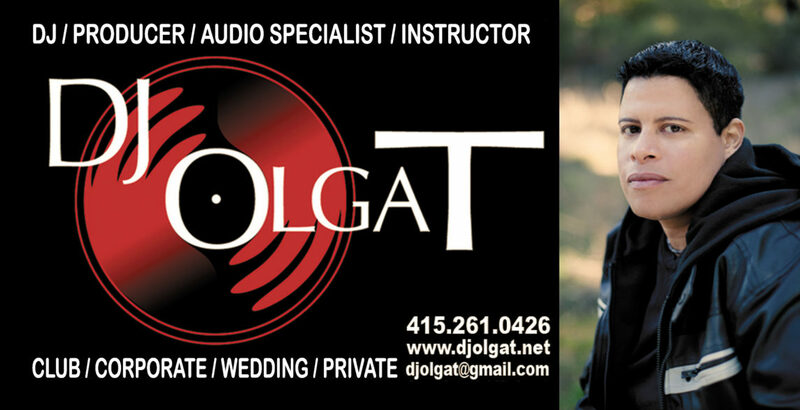 *WEDDING/ANNIVERSARY/PRIVATE PARTY: For 50 – 100 people for 4 hours starts at $1,500 and up (depending on extras like dance lighting, multiple room set-ups, extra equipment, extended play time, etc). CORPORATE EVENTS: For more than 100 people for 4 hours with *STANDARD EQUIPMENT INCLUDED starts at $4,500 (depending on venue size, multiple room set-ups, extra equipment, extended play time, etc and custom needs) Note that a subwoofer, multiple moving lights and color lighted DJ facade are also included for corporate events.